Supported by the right network and services, enterprises can use a hybrid cloud platform to comply with data regulations, streamline devops and support edge applications. Azure Stack is a case in point. Cloud computing, in both public and private mode, has become the new enterprise standard. At the same time, enterprises are continuing to work with managed service providers (MSPs) for a widening range of IT solutions, including cloud support. These two trends are linked. CIO Senior Writer Thor Olavsrud last summer noted that “leaning on an MSP for a subset of your IT services can be a boon.” He also pointed to a CompTIA study indicating that the percentage of MSPs who say that cloud services play no role in their offerings was “almost immeasurably low.” A good case for combining the two is the hybrid cloud. Microsoft Azure Stack, the private cloud environment for Azure initially released in July 2017, is such a case. The promise of a hybrid cloud platform is its ability to bridge the public hyper-scale computing environment with that of the private cloud, whether deployed on-premises or in a third-party data center. It’s like Facebook moving into the enterprise space, a strategy that reportedly is in the works. Only the hybrid cloud is already rolling out. Microsoft began shipping Azure Stack in late September, 2017. (Disclosure: we work for NTT Communications, which launched an application testing and validation lab for Azure Stack at that time.) Another hybrid platform from Amazon Web Services (AWS) and VMWare went live in August; and Google announced a similar partnership with Cisco in October, with plans for a release later in 2018.
complexity. In such efforts, enterprises can also benefit from global expertise in network and infrastructure security, data center management and regulatory compliance. Another case highlighted by Microsoft relates to application development and management. One common use of Azure, or any other public cloud, is as a sandbox. The advantage of Azure Stack is that software engineers need not use different frameworks. They develop once and deploy once. At the same time, Azure Stack simplifies application modernization. Having a common environment makes it easier to grow a new front end and retire legacy code. “Azure stack is all about empowering DevOps teams,” Snover said. Yet along with a hybrid cloud platform, enterprises will need to tap internal or external resources for actually managing these applications and their lifecycles. A third category involves special applications where Internet connectivity is unavailable, inadequate or undesirable, or where data is simply better suited for batch processing. A cruise ship or off-shore oil drilling rig may be disconnected but still want access to a cloud. A manufacturer or Formula One team may generate tremendous amounts of data, but require intermittent and bursty connectivity. In all such cases, a hybrid cloud platform makes sense. 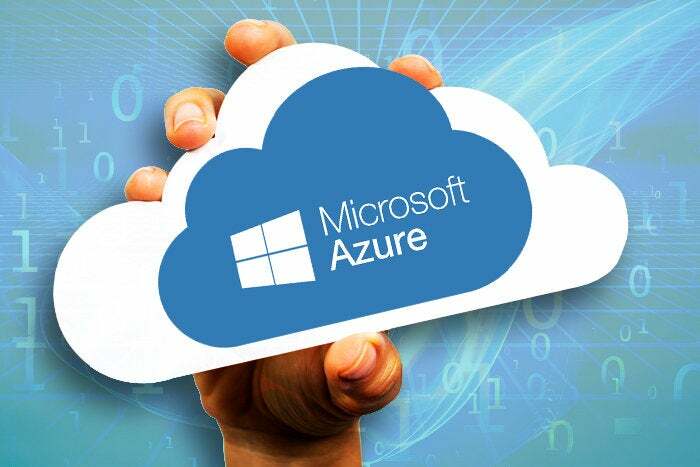 To support the connected cases, enterprises will also need capable service provider partners, preferably with native Azure (or other hybrid platform) integration on the backbone. One driver of the hybrid platform is simplification. Microsoft talks about a “driver/mechanic” model in which the enterprise pays attention to the dashboard and calls for tech support when a light goes on. That’s a good, but limited analogy. A hybrid cloud platform doesn’t arrive ready to drive, but must be architected to an enterprise’s particular circumstances. Likewise, with connectivity, which today is being powered by flexible, software-defined technologies. When implementing the hybrid cloud, to borrow from Olavsrud, enterprises will find it a “boon” to lean on MSPs. Those providers with a strategic cloud focus and a full portfolio of highly secure networks and data centers should be especially good fits. The arrival of the hybrid cloud platform is a welcome development. Already engaged with Microsoft Azure (see our recent DRaaS offering), we are pleased to support Azure Stack. The hybrid cloud category will become all the more successful with the right application of managed services.